Tabraiz Shamsi added to the squad. Probably he will play this match. They are already out of the playoff race. So they can do some experiment with their playing 11. Steven Smith will not play in CPL 2018 due to injury. Probably Dwayne Smith & Martin Guptill will open for Barbados Tridents (BAR). In WK Nicholas Pooran & Devon Thomas both are the good options. 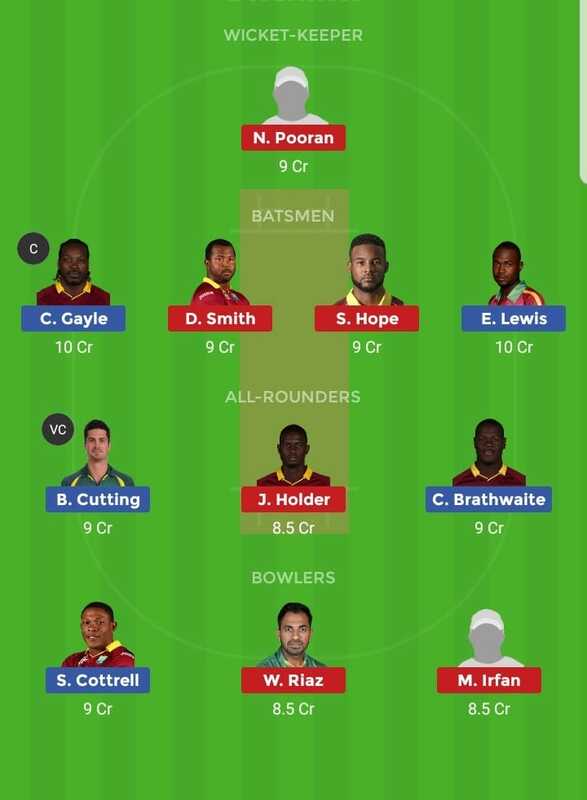 SKN vs BAR dream11 - Fantasy Cricket Tips -.